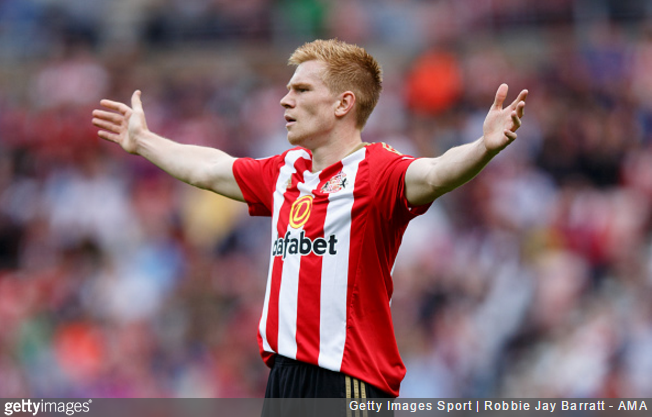 Sunderland forward Duncan Watmore has reportedly helped save three people’s lives after emerging from a boat crash while on holiday in the Caribbean. As the Chronicle has it, Watmore and his girlfriend were cruising across a bay in Barbados when their fishing vessel hit by a wayward catamaran. The impact of the collision sent the 23-year-old professional footballer overboard along with his partner and three elderly passengers. However, reports suggest that Duncan managed to grab all of the passengers before coastguards were able to rescue the group. The heroic star also used his t-shirt to stop the bleeding to a severe cut on one of the passengers leg. It was scary, life or death. I’m lucky not to be coming back in a box. We assumed [the catamaran] would see us and change course, but it then got closer. Duncan helped everybody to get on to the boat — he couldn’t have been nicer. Apparently the 23-year-old was on a fishing excursion off the Platinum West Coast at the time, a vacation suggested by Black Cats manager David Moyes to aid the player’s ongoing recovery from a season-ending ACL rupture. So that’s a first-class degree in economics and business management and three souls saved from the clutches of Hades.